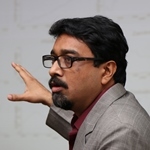 Sabyasachi Kar is a Professor at the Institute of Economic Growth, University of Delhi, India, and Honorary Visiting Fellow at The University of Manchester. Sabyasachi’s general research interests are macroeconomics, growth economics and development economics. His ESID research is focused on the Political Economy of Growth. Raihan, S., Kar, S. and Sen, K. (2018). ‘Transitions between growth episodes: Do institutions matter and do some institutions matter more?‘, ESID Working Paper No. 99. Manchester, UK. Kar, S., Raihan, S. and Sen, K. (2018). ‘Do economic institutions matter for growth episodes?’, ESID Working Paper No. 92. Manchester, UK. Kar, S., Pritchett, L., Raihan, S. and Sen, K. (2013). The Dynamics of Economic Growth: A Visual Handbook of Growth Rates, Regimes, Transitions and Volatility. ESID: Manchester, UK. Sen, K., Pritchett, L., Kar, S. and S. Raihan ‘Democracy versus dictatorship? The political determinants of growth episodes‘, ESID Working Paper No. 70. Manchester, UK. Sen, K., Kar, S. and Prasad Sahu, J. (2014). ‘The political economy of economic growth in India 1993-2013‘, ESID Working Paper No. 44. Manchester, UK. Pritchett, L., Sen, K., Kar, S. and Raihan, S. (2013). ‘Trillions gained and lost. Estimating the magnitute of growth episodes‘. ESID Working Paper No. 26. Manchester, UK. Kar, S., Pritchett, L., Raihan, S. and Sen, K. (2013). ‘Looking for a break: Identifying transitions in growth regimes‘, Journal of Macroeconomics, Vol. 38, Part B.
Kar, S. and Mandal, K. (2014). ‘Re-examining the finance-growth relationship for a developing economy: A time series analysis of post-reform India’, The Journal of Developing Areas 48(1). Mandal, K. and Kar, S. (2013). ‘Global financial crisis: What did we know, what have we learnt?’ In S. Banerjee and A. Chakraborty (eds. ), Development and Sustainability: India in a Global Perspective. Springer.